So, now having done more than minimal research, it seems I’ve now found my lender of choice. I scoped out the rates of the big banks, the little banks, and a bunch of the local credit unions and the one thing they all had in common… was the interest rate. You might have read on all kinds of websites to “shop around” and submit applications all over the place to get the best rate. I dunno — based on my experience — that’s more a waste of time than anything else. 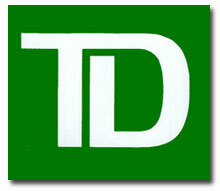 In the end, I selected and submitted a loan application to TD Bank. Competitive Rate – They weren’t the highest and they weren’t the lowest but they were in the sweet spot of my target rate. The rate is 5.04% on a fixed 15-year term. Proximity to Home – When we refinanced our original mortgage, my wife and I end up having to take multiple days off, visit the mortgage broker, hit a law office, and, well, it was just a bigger hassle than it should have been. The TD branch for this loan is literally right around the corner. And they’re open on weekends too. Clear and Concise Website – While some of the credit union websites were far more upfront about what the monthly payments would/could be, no site was as well organized and informative as TD’s. They didn’t try to lump it all together with HELOC using terms that apply to one but not the other throughout — plain old home equity loans have their own section and aren’t littered with fluff that applies to other types of loans. So I did the application online since it’s been my experience that when you do it in person, the person at the bank essentially just fills the website out for you. No thanks, I’m pretty sure I can type out my info faster. So it took maybe 10 minutes, a bunch of the simple questions you’d expect, the stuff they need to pull your credit, and minimal debt declarations. Apparently, two days from now, they’ll have a “decision”. I’m skeptical but that’s just my nature. We’ll have pay stubs, W-2’s, and tax returns handy just in case. And I’m crossing my fingers that an interior appraisal won’t be necessary — not that I have anything to hide since our last HUGE remodel. At this point, it’s just a hassle (and day off from work) that I’d rather not have to endure. During the application process, the site claimed that I could borrow $115k. Yowzers. I asked for $70k and a 15 year term. Monthly payment will be $550. Yep — right where I thought it would be. I'm Building/Buying a 3-Car Garage. Seriously.